Amarante-Grain Gèante, Amarante, Alegría, Amarante-Grain, Amaranto, Chua, Huatlí, Huantli, Lady Bleeding, Lovely Bleeding, Love-Lies-Bleeding, Prince's Feather, Pilewort, Ramdana, Rhamdana, Red Cockscomb, Velvet Flower CAUTION: Please refer to separate listings for Lesser Celandine, Bulbous Buttercup and Potentilla. Why Do People Use Amaranth? Orally, amaranth powder is utilized for diarrhea, ulcers and inflammation of the throat and mouth. It is also utilized orally to treat hypercholesterolemia. In foods, Amaranthus hypochondriacus (Amaranth) is utilized as a grain just as wheat. Possibly Safe - There is deficient reliable information available regarding the safety of Amaranth powder. Pregnancy and Lactation - Due to deficient reliable information, nursing and pregnant ladies should abstain from utilizing amaranth powder. POSSIBLY INEFFECTIVE Hypercholesterolemia - The use of Amaranthus hypochondriacus (Amaranth) is possibly ineffective for hypercholesterolemia. Amaranth muffins included to a National Cholesterol Education Program (NCEP) step-one low-fat diet failed to decrease cholesterol levels in a group of hypercholesterolemic adults as compared to individuals who ate low fat diet. There is deficient reliable date about the effectiveness of amaranth for its other uses mentioned. Entire plant of amaranth can be used. The leaves contain small amount of vitamin C in them. 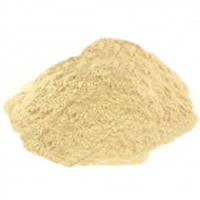 There is interest toward utilizing amaranth powder for elevated cholesterol. Preliminary research in animal models recommends that amaranth seed powder can decrease serum cholesterol. It appears to decrease low density lipoprotein (LDL) cholesterol and total cholesterol, while improving high density lipoprotein (HDL) cholesterol. Furthermore, it appears to have negligible impact on very low density lipoprotein (VLDL) cholesterol. However, these findings have not yet been confirmed in human studies. What Are The Side Effects /Adverse Reactions of Amaranth? How Amaranth Interacts With Other Herbs and Supplements? How Amaranth Interacts With Drugs? How Amaranth Interacts With Foods? How Amaranth Interacts With Lab Tests? How Amaranth Interacts With Diseases and Conditions? What Should Be the Dose/Administration of Amaranth? ORAL - Many people ordinarily use amaranth as a tea by adding 1 teaspoon of leaves to 1 mug of cold water. The tea is taken cold, 1 to 2 mugs each day. As a tincture, amaranth is dosed up to 1 teaspoon. Don’t mix up Amaranthus hypochondriacus with bulbous buttercup (Ranunculus bulbosus) or lesser celandine (Ranunculus ficaria), sometimes also called pilewort.